Apart from having a wonderful break, a vacation does tend to throw in some googlies, too. Fortunately for me, I was almost, always camera ready. 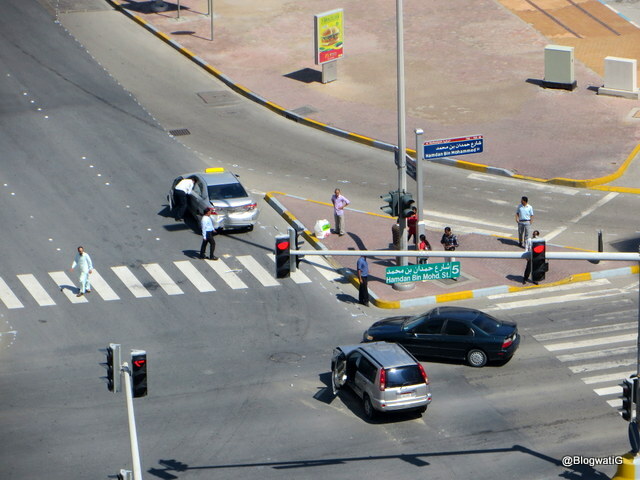 And so here is a pictorial version on my unusual findings on this trip to the UAE. 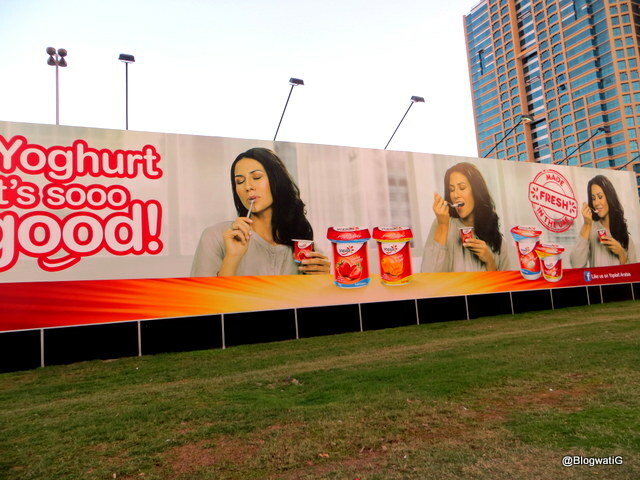 I saw this ad and somehow the sequence did not make sense to me. The gratification came prior to the tasting of the product. And then it hit me, in the UAE the script was read right to left, unlike the rest of the world. 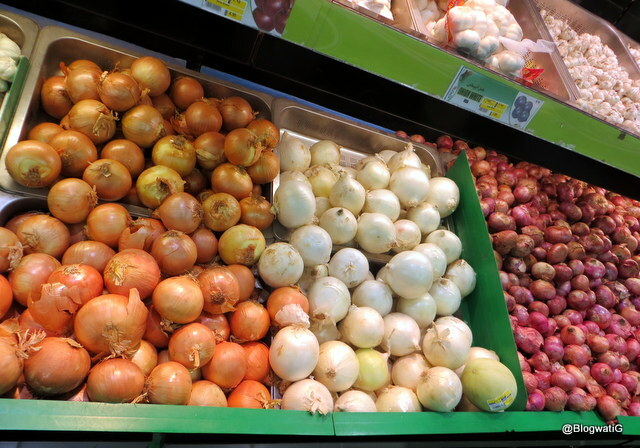 The pink onions that you see on the right are the regular ones that we get back home. These peach and white ones on the left seemed to belong to the giant from the beanstalk story. Don’t miss the garlic in the background either. One onion was the size of a well-grown sweet lime, or even bigger. I kid you not! I happened to witness an accident. Fortunately no one was hurt, however do to the speed, the cars sure took a beating. I almost expected a huge ruckus. All that happened was this. a) The drivers of both cars stayed put and waited for the cops to arrive. b) The traffic did not stop. It continued as if nothing was wrong. c) There was no disruption of life. No one beat the other one up. d) Each one realized it was a mistake and they waited to take corrective action. e) I think I understood the term ‘civilization’. I had only heard and seen videos of the Wonder Bus. As we took a ride down the Abra, I witnessed it first hand. 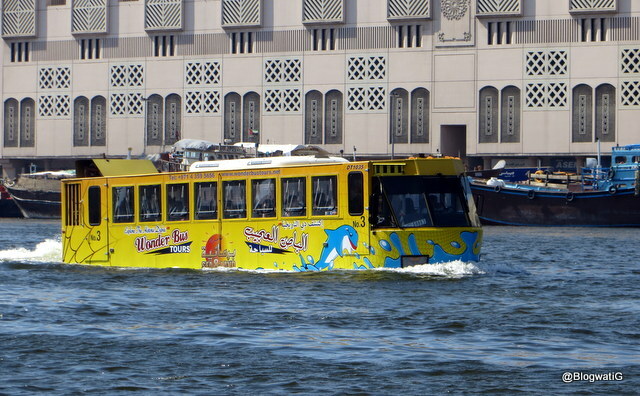 For the uninitiated, it is a bus that travels both on land as well in water. Yes, I was super excited to see it too! 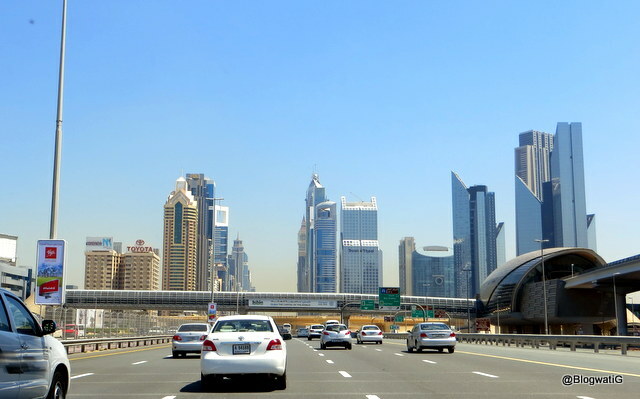 This is Shaikh Zayed Road just after I have passed the Burj Khalifa on the right. So what is unusual about this picture? It seems like a regular city panorama, right? Well, yes, but until I tell you that the TOYOTA building on the left was the tallest building in Dubai at one point of time. Gives you a new perspective, doesn’t it?